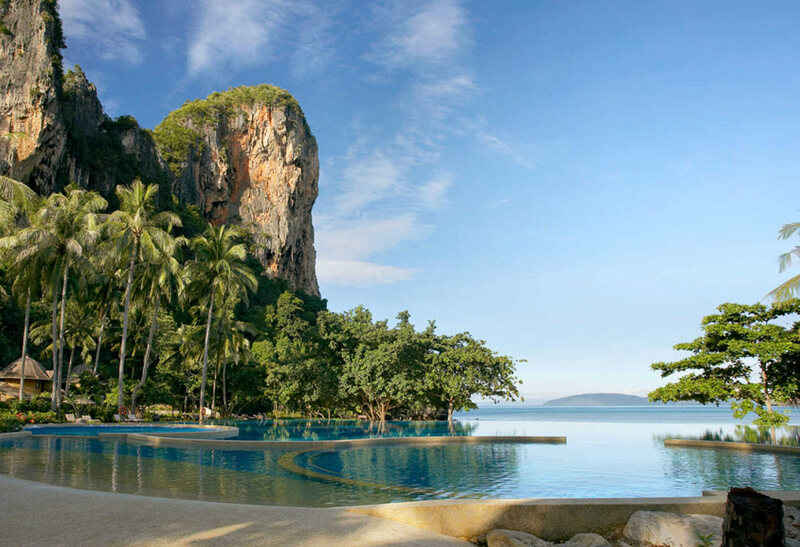 Rayavadee is situated in the heart of Krabi’s beautiful Phranang Peninsula on the border of Krabi Marine National Park, an area renowned for its natural beauty and rich flora, fauna and marine life. When the resort was built more than two decades ago, it was with the idea of living in balance within this unique environment. The accommodation was constructed to nestle in between the property’s many trees, none of which were cut during the process, in order to blend seamlessly with the natural surroundings. With the resort’s low-key approach to building, the habitat of the area’s many varieties of birds and animals was not disturbed. In addition, we employ a number of practices to reduce the negative impact on our surroundings with a focus on sustainable water and waste management as well as energy efficiency.